This morning, I have a memoir to share with our readers from author Martin D. Kelly. Check out my review, learn about the author & enter for a chance to win a prize in the book tour giveaway at the end of this post! I received a complimentary copy of this book from the author or publisher for use in my review. Dirty Trickster, Corporate Spy gives readers an insider view. This book takes readers inside the darker sides of both the political and corporate spaces of the world that most of us know exist--but, rarely visit. While I learned about Nixon's Watergate scandal in history classes--I didn't know about the "dirty tricksters" or their activities. Readers will love Kelly's writing style. The author's "trickster" personality shines through from beginning to end in this humorous memoir. While, indeed, some of the issues peeked into are not funny--the author relates his life story and his adventures in such a down to Earth, easy going manner--that it is quite entertaining. Readers will not find a stuffy politician or corporate suit telling this story--just a regular guy who has a great storytelling technique. Would I recommend Dirty Trickster, Corporate Spy? With the current state of politics--and misadventures following both political parties daily, I think readers will enjoy reading a story of similar misadventures handled before the days of constant media shares. The author tells a real story in a humorous, authentic manner that creates a delightful read for readers. (Even those with minimal interest in politics and scandals.) If you enjoy memoirs--this is a unique one for readers, and I highly recommend it. To read more reviews, please visit Martin D. Kelly's page on iRead Book Tours. 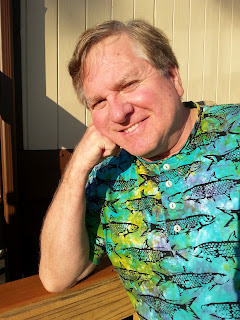 Martin D. "Doug" Kelly is a successful author and freelance writer who resides in Clearwater, Florida. A rising Republican activist in college, his role in Watergate dashed any political ambitions. He thereafter engaged in a security-consulting career that included spying on the workforces of corporate America, during which time he also become renowned internationally as a locator of clandestine listening devices. When not fishing and playing golf, Kelly contributes travel- and outdoors-related articles for a variety of publications and co-hosts a weekly syndicated radio talk show. Thanks for the comment, Joseph. 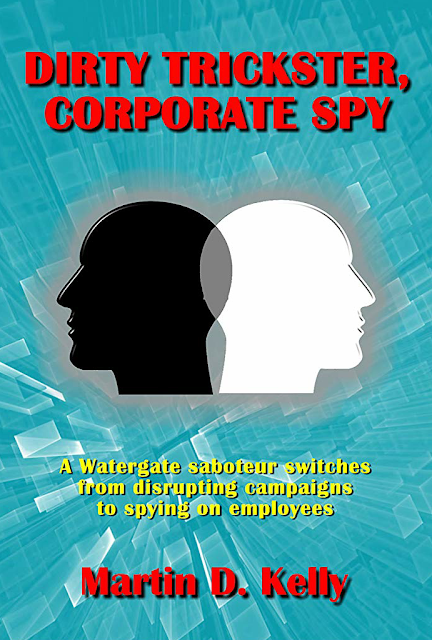 I did my best to make it interesting with both my experiences in Watergate and corporate spying.